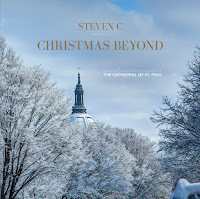 It never seems too early for Holiday music when artists like Steven C. (Anderson) release a set of recordings that combine elements of classical and new age to formulate something beyond what one would normally hear this time of year. In fact, the best way to describe it is Christmas Beyond. So forget about everything you know that is associated with this type of music, open your mind and heart and listen intently to what this talented man has to offer. It was very appropriate that the artist recorded this album in the majestic Cathedral of St. Paul, MN featuring his Bosendorfer Grand Piano. 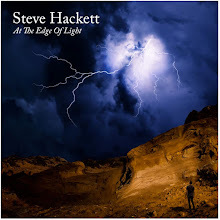 My glimpse of the new vision of the traditional Holiday season was on our Rate The Tracks site when the focus was “Still,Still, Still.” This track is a perfect blend of Holiday, New Age and Classical music. It gives the listener a crossover appeal and opens the door to some opportunity for a larger audience than what the genre would normally command. This is not clearly defined music as it stands alone and allows each listener’s own personal interpretations, which any good instrumental music will do. The difference is this release is special because of what it stands for. When I first heard “Still, Still, Still” it initiated a sequence of feelings internally, first sadness that summer had past, then the joy and beauty of the annual foliage…as if God had a huge paint brush and carefully designed each tree with its own color. Now with those two seasons behind me my thoughts turned to Christmas, the most special and sacred time of year. This is when one wants to be surrounded by loved ones, friends, and thoughts of all those that have passed that built those yearly traditions long ago. Music engages you and brings forth many feelings and visions, if it accomplishes that it has completed its mission, Christmas Beyond does that and so much more. “The Angel Gabriel” draws the curtain open to a story and it unfolds before you. The significance of Gabriel is documented in the Bible and in the story of Christmas. I think it was a great choice to start the recording. I like the way Steven intersects the winter season with the Holiday and how it is forever linked, particularly for those not living in year round warm climates. He also makes sure the importance of Thanksgiving is not forgotten and how it segues into the birth of Jesus. There is a lot to think about in this music and what actually makes it more contemplative is the fact that it is all instrumental. Without words there is one less thing to be distracted with or focus on, this way the music is completely absorbed and you reflect back on your own life and personal experiences of the Holiday. “Blow, Blow, Thou Winter Winds” is an invitation to the elements of earth to work freely and perhaps is an indication of something on a spiritual level that says “Let the winds of change come through, we welcome them and the season and the beauty it offers us all.” This can be looked upon as a change in life or the effects it has on an individual. It is all in the way you perceive things happening in front of you. I thought the pace of the song was gentle and inviting even though winter winds can be brutally cold and wreak havoc, this gave me a different perspective on what it can mean. As with anything in life it is all in your attitude, and what you believe is your truth or can be. Steven C. has created a masterful interpretation of the winter season and the most cherished Holiday of them all through beautiful piano based music. It is spiritual, relaxing and in sync with the upcoming Holidays right around the corner. I highly recommend you give it a listen; you may step away with some different ideas of what this time of year means. There is nothing like great music to reveal the truth and put a different spin on things. Christmas Beyond can be your North Star to follow to enlightenment this year. 12. Angels Heard: Do You Hear? I Heard!